All Lion World Travel tours, river cruises, expedition cruises, and adventure trips. Find the best guided trips and expert planned vacation and holiday packages. 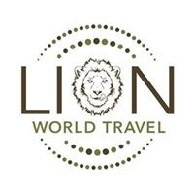 Average rating of 5.0 for all Lion World Travel trips. A life-changing close encounter with a family of habituated Mountain Gorillas in their natural forest setting.